Innopipe is a patented piggable liquids removal system for gas transmission systems.We remove liquids like produced water, hydrocarbon condensates and chemicals from natural gas lines. Results include better pipeline integrity; minimized corrosion issues; reduced use of inhibitors; black powder reduction or elimination; extended pipeline life; slug reduction and control; reduced pigging; and improved plant and pipeline operations and predictability due to more consistent operations. Tightening environmental standards are cause for reviewing inefficient conventional internal combustion and chemical power generation options already. If you’re looking for economic and sensible proven alternatives to implement now, let us introduce to you the future of power generation: PowerGen. The International Pipeline Exposition is the premier pipeline event in the world. Together with the world-class International Pipeline Conference, hosted by Canadian Energy Pipeline Association (CEPA) and the American Society of Mechanical Engineers (ASME), the event attracts over 6,500 pipeline experts from around the globe. 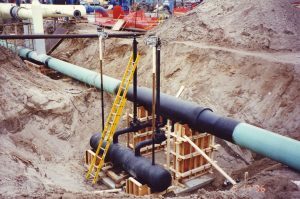 As a biennial event, the International Pipeline Conference & Exhibition fulfills a vital function by providing a forum for industry, government, regulators and the public to learn about leading edge technology in pipeline engineering, as well as discuss current and emerging issues facing the international pipeline industry. The conference features keynote speakers, 300+ technical papers over eight tracks, tutorials, panel discussions, student papers and awards.